Why do we elect representatives we disapprove of? Mark Reinstein/Shutterstock.com Members of the 115th Congress convene in a joint session in January 2017. According to a Gallup poll, on the day of the 2018 midterm election, congressional approval was at a mere 21 percent. However, Americans that same day chose to re-elect 91 percent of incumbents in the House of Representatives and 84 percent of U.S. Senators who were up for re-election. If congressional approval was so low, then why did incumbent members of Congress experience such staggering levels of re-election? This paradoxical relationship between congressional approval and re-election rates is observable throughout much of U.S. history. Though both have fluctuated, one fact remains the same: Americans have re-elected incumbents even when they did not approve of Congress as a whole. Since 1974, the first year that Gallup began publishing its public opinion polls, the average re-election rate has significantly exceeded that of congressional approval. 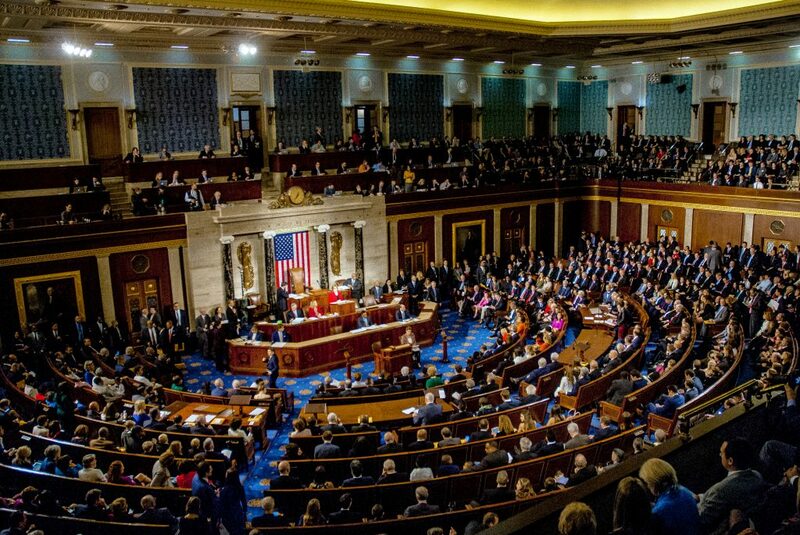 On average, the gap between the percentage of politicians who are re-elected and Congress’ approval rating is over 58 percent; while the average approval rating hovers around 30 percent, incumbent members of the House and Senate have an average success rate of 88.5 percent. Our founding fathers had a few things in mind when they decided that whoever served in the House of Representatives should be determined by popular vote. (Remember, we only got the ability to directly elect our senators with the 17th amendment in 1913). Elections were of course supposed to be a way for the people to choose their government representatives, but their frequency — every two years — was also intended to give the people the capacity to put a check on the legislators currently in power. Don’t like how the current Congress is doing things? Change who gets to be in it — vote for someone new. So if elections were supposed to be a chance for us to switch the makeup of our governing body when we decided they were doing a bad job, why are we continually voting for a Congress that we don’t really approve of? I could try to justify this gap to you with a bunch of political science jargon that even poli-sci majors are barely interested in, but I’m less concerned with why it’s happening than with how to change it. We need to keep in mind that this country was founded on the belief that the people have a right to government representation. Remember the whole Boston Tea Party thing? The founders were so pissed that they didn’t have any representation in the British parliament that they threw a bunch of tea in the Boston Harbor — it was the classic “taxation without representation” thing. But because of their efforts, your ability to get the right kind of government representation is so much easier than theirs; you don’t need to road trip to Boston, you just need to head to the polls to vote for a representative that you’d approve of if they got a seat in Congress. Now, I’m not gonna lie to you and say you single-handedly can influence the makeup of our government; you can’t. No one person’s vote decides who wins in Congress. On the other hand, it is entirely nonsensical to vote for someone who doesn’t represent your values. If you don’t like who is representing you in Congress, then stop voting for the person who’s already there, no matter what party they might belong to. Incumbents already have a host of advantages on their side as current members of Congress — they don’t need your vote, too. Emily Houston is a senior double-majoring in political science and English.